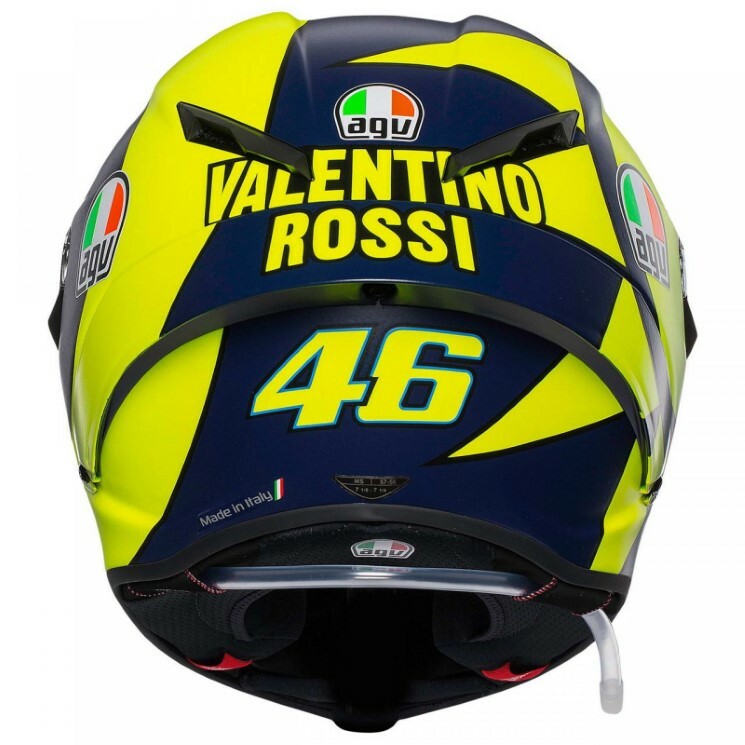 Every year there’s a bunch of new helmet graphics and designs that mimic the ones famous riders wear on the racetracks, but there’s always one helmet that’s more special than all others: the Valentino Rossi’s helmet. This year, the nine-time World Champion decided to go back in time and opted for a more retro look, and fans went crazy when he showed off the AGV Pista GP R SoleLuna 2018 at the Qatar GP. 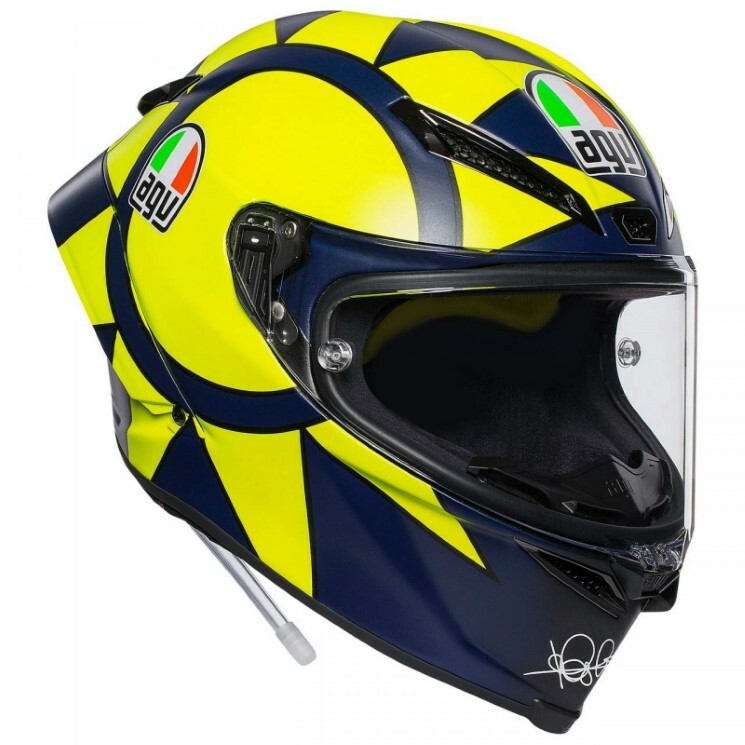 Designed in collaboration with Aldo Drudi, this special helmet brings the iconic Sun and Moon symbols together in one simple design, using a deep blue tone and Valentino Rossi’s usual fluorescent yellow. 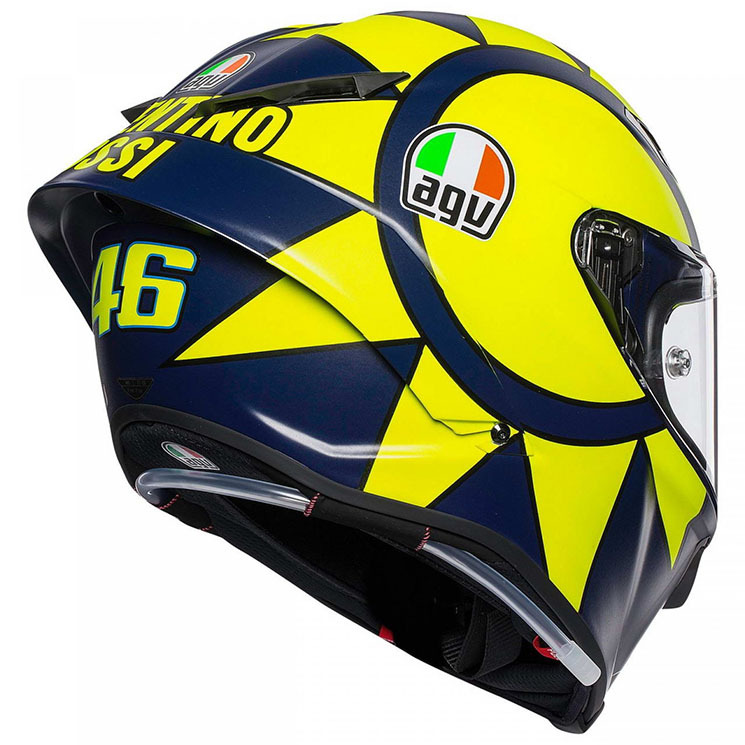 The design features all but Rossi’s personal sponsors – Oakley, GoPro and Monster. 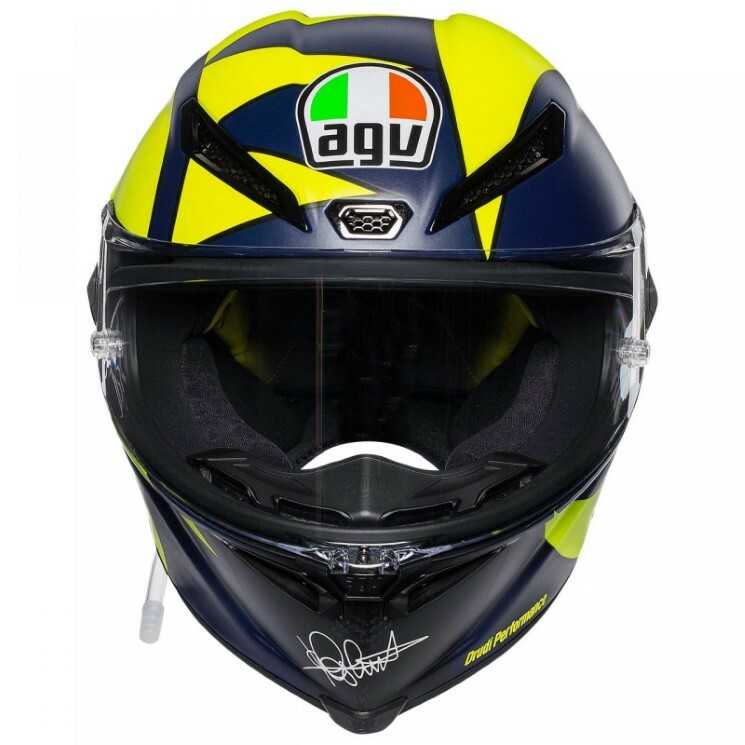 The AGV Pista GP R is a true racing helmet. The outer shell is made in carbon fiber, the inner shell in a five density EPS, making this sports helmet very light. 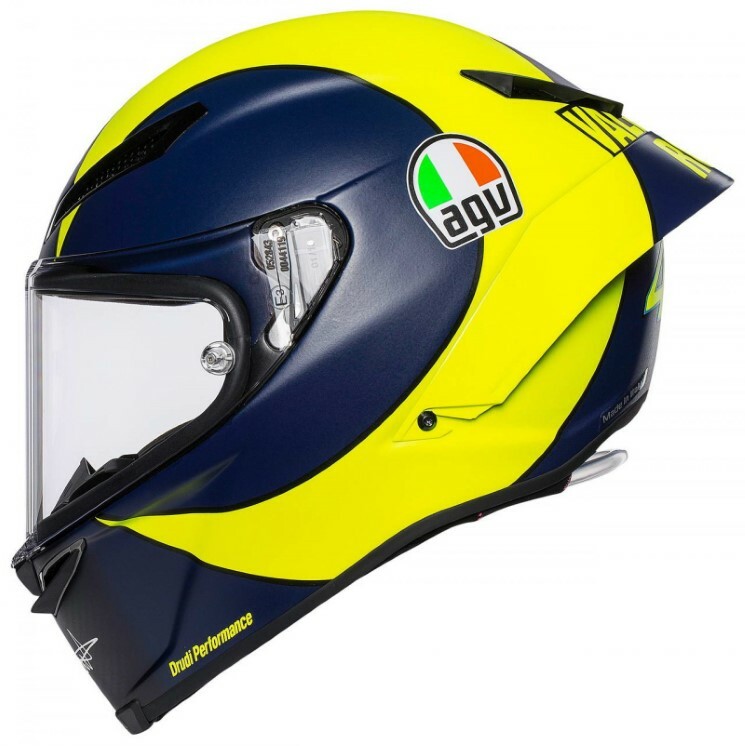 AGV says that it weighs just 1350g, even though it features an integrated hydration system, metallic vents and an extended rear spoiler developed in a wind tunnel that allows this helmet to reduce drag by as much as 4%. Available starting now in four shell sizes, the Pista GP R SoleLuna also gets Valentino Rossi’s signature in the chin.